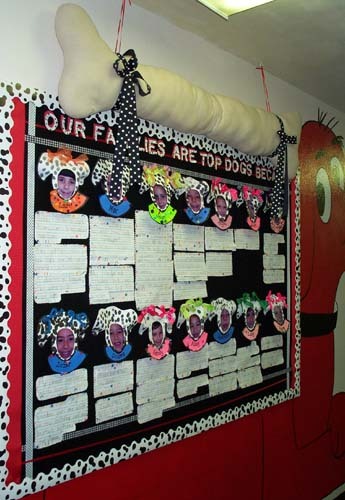 Mrs. Brown's 1C tell why their families are "Top Dog". and a huge stuffed dog bone is suspended from the hall ceiling. The storybook character is painted on the wall. 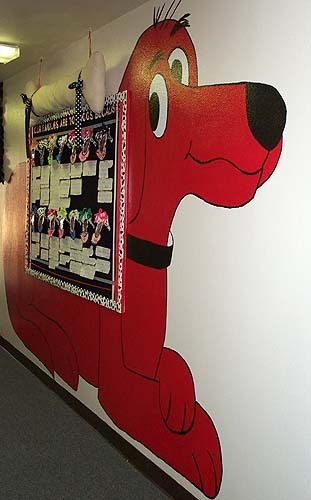 Press "Go" to search for Clifford the Big Red Dog.